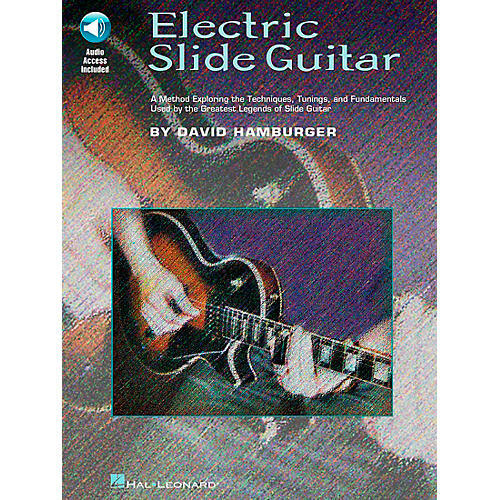 Electric Slide Guitar by David Hamburger is a book/audio method that starts with the basics: selecting a slide, proper set up of the guitar, then moves on to playing in open and standard tunings. Music examples on CD demonstrate licks and slide work. Each section also examines the techniques and solos of such notable slide guitarists as Duane Allman, Dave Hole, Ry Cooder, Bonnie Raitt, Muddy Waters, Johnny Winter, and Elmore James.